Tessa Belle barely escaped her father’s abusive hands ten years ago, when she was just thirteen. On her own now, in her own apartment, she tells herself it’s time to start living. Her dating life has been lackluster as no boy or man could ever love her or protect her the way Jack Smithen had. After all these years, she can still picture his face that fateful night. When her deadly past comes crashing into the present, she feels too alone to do anything. That’s when her long lost love, Jack, appears – literally – and takes hold of her life, and her heart. It’s been ten years since their first kiss, ten years since their lives were changed forever. But now they’re together again, adults now, able to help each other, able to love each other openly. Jack’s the only person who understands what Tessa endured, because Jack endured the same from his own abusive mother. Hand in hand, Tessa and Jack prepare to face Tessa’s father one last time… but this time, can they both make it out alive? As most people know, I think I’m the only person in my age group that didn’t like Twilight, have never seen the movies and couldn’t care about RStew and their love life. I have no intention of EVER seeing the movies or even reading book #2 in the series. 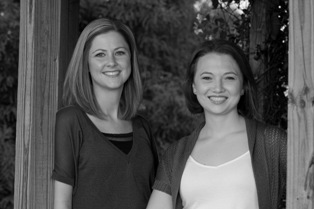 Circle of Lies confirms that there is intelligent, smartly written, PNR for the YA/NA crowd. What Ms. Daily and Ms. Weber have written is a strong, intelligent heroine that can stand on her own two feet, a hero that is truly swoon worthy but also the guy that doesn’t have a clue about girls and a supporting cast that truly does support the hero/heroine and villain that in some way you can actually feel for…sorta. Aiden just found out that he’s a werewolf and hasn’t even changed yet. Then to find out his sister Alli is mated to the next Alpha in the pack and they all go to school together. Jeez…what’s a guy to do? Oh and to meet his mate, Teagon and not realize what the hell that really all means to him and his pack since she’s human. He could have been the most screwed up character but in truth, he’s just a regular guy that’s been thrown some serious crap at him. What he does realize that is that needs Teagon like his next breath and that scares the crap out of him. 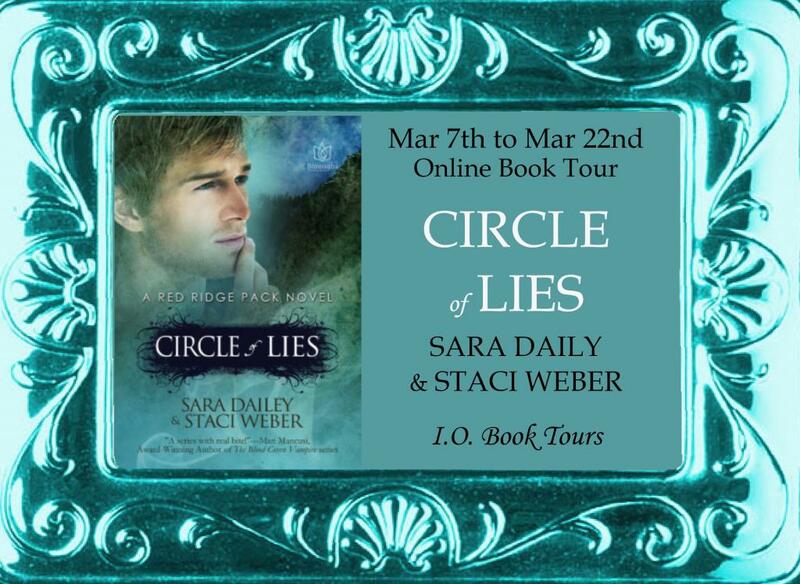 Again, I can not tell you how much I loved Circle of Lies. Intelligently written with great dialogue between all the characters and a love story that melt anyone’s heart. Its sweet, passionate and above all about what a family truly means in her life…no matter who they are. When Talia Lyons was just a child, her parents were murdered before her eyes. Offered a choice between accepting their fate and exacting revenge, Talia trains to become one of the country’s deadliest assassins in order to kill the man responsible for their deaths: Ian Crane. Luckily, Talia was born with a gift- the ability to read and influence the minds of others. At sixteen, Talia is poised to graduate from the McDonough School for the Talented, where she learned to control her abilities. Now there is only one obstacle standing between her and the retribution she craves… Talia herself. She must regain the single-minded determination that has brought her this far, or it may cost Talia her life when she finally faces Crane. And even after being moulded in to a weapon of war, she’ll still have to find the strength it takes to pull the trigger. 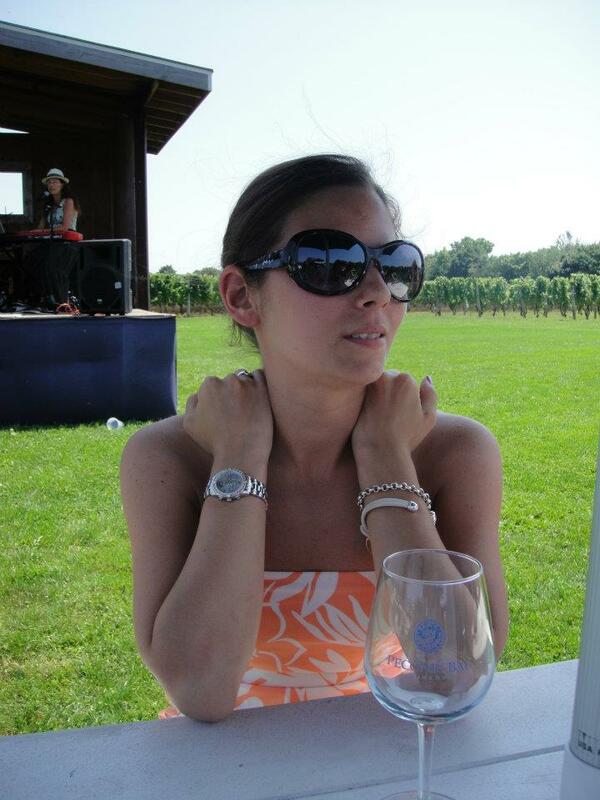 Sophie moved to Washington, D.C. after graduating from Penn State University to pursue a career in the Sciences. 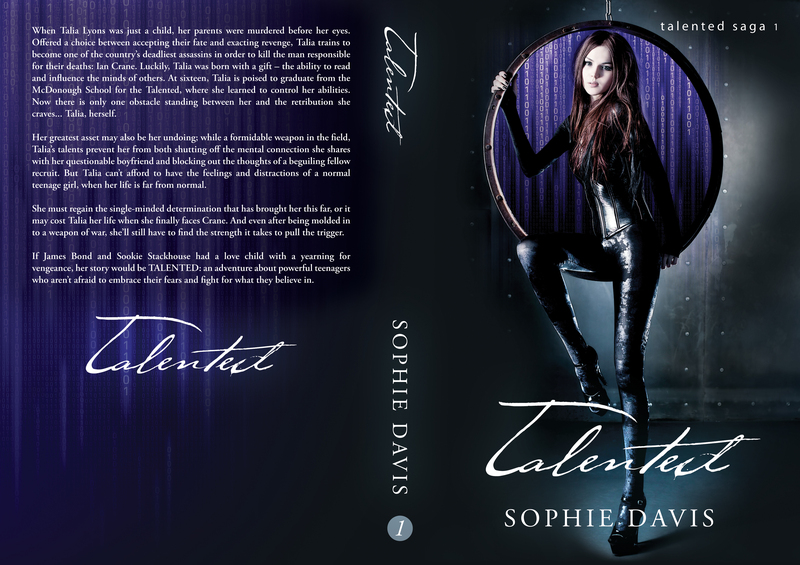 After deciding to actually write down one of the stories she makes up in her head, Sophie began the long journey towards her first full-length novel, Talented. There are three sequels to Talented; Caged and Hunted are available now and Created will be available Summer of 2013. There is also a novella, Captivated, about Erik and Talia that was just released. Her second series begins with See You in My Nightmares, coming Spring 2013. When Sophie isn’t hunched over her computer, she can be found shopping in Georgetown, running in Rock Creek Park, or at the local dive bars in her Columbia Heights Neighborhood. The giveaway prize of a $5 eGift Card from winner’s choice of eBook retailer. Contest is open internationally and ends . Must be 18 years or older to enter.